Protect your grillz with this exclusive Krunk Grillz case. 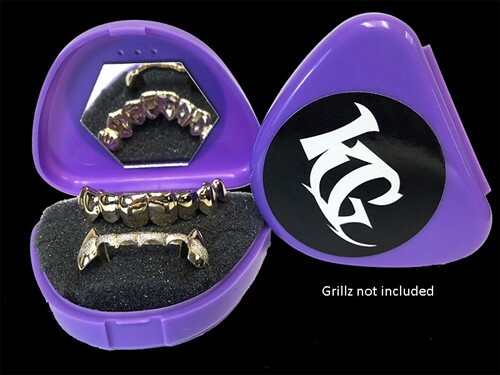 Purple plastic case has a foam liner so your grillz do not move and a mirror so you can watch yourself shine. Usually holds 2-3 grillz depending on size of teeth. Grillz not included.